On May 1, 2016, the Office of the First Lady announced that Malia Obama would take a gap year. The first family’s personal choices have a tendency to serve as national Rorschach blots, dredging up our hidden feelings about everything from organic vegetables to Portuguese water dogs, and this was no exception. Malia’s gap year was “Part of a Growing (and Expensive) Trend,” ran a headline in The New York Times. It was “The Ultimate Sign of Luxury,” read an opinion piece in the New York Post. An editorial in The Telegraph thought Malia was “right” to take a gap year while The Atlantic pointed out that students who take time off after high school have a lower chance of completing college. NPR, PBS, and The Guardian all did segments. Everyone, it seemed, had an opinion about what it means to take time away from school. The national spotlight is shining on gap years at what might be a watershed moment for the trend even without the Obamas’ help. By some estimates, the number of “gappers,” or students who take gap years, has doubled in the past 10 years, though exact figures are hard to pin down. Partly, that’s because the term is loosely defined. In the common lexicon, a gap year is time off from formal education, most commonly between high school and college. But the American Gap Association, an accreditation organization founded in 2012, advocates thinking of gap years not as “time off,” but as “an experiential semester or year ‘on,’ taken to deepen practical, professional, and personal awareness.” The number of gappers is impossible to measure — it can be hard to know how many high school seniors who delay college will enroll eventually and how many are ending their formal educations. Still, colleges are seeing more students defer admission, and there are now 38 national gap-year informational fairs annually, up from seven in 2008. Harvard College has encouraged the practice for decades, and Princeton, Tufts, and the University of North Carolina–Chapel Hill have all recently launched programs that help incoming students participate in gap years. But this easy division into pro and con, have and have-not, glosses over some of the subtler thinking occurring across the gap-year world. Robin Pendoley, Ed.M.’03, cofounder of Thinking Beyond Borders (TBB), a gap-year program focused on international development, advocates for another lens on the situation. He agrees that questions of economics and equity are essential in any discussion of gap years, but he also believes there is a breakdown in how our education system prepares most high school students for adulthood — and that gap-year programs offer clues toward a corrective of this breakdown. “We currently see increasing rates of depression, substance abuse, sexual assault, et cetera,” on college campuses, Pendoley says. “And a key component is students are going to campus with no purpose and direction around their learning, with no sense of what it means to be an adult, and so students are getting lost in destructive behavior because they don’t have the support to step into a higher ed community.” The best gap-year programs, he believes, provide students with the independence, curiosity, and sense of purpose to help them negotiate this predicament. These qualities, he says, can also be fostered at traditional high schools and colleges though this will require deep changes to the ways that many institutions approach their missions. Gap years, in other words, might be more than simply time for self-discovery or unaffordable luxuries. They might be laboratories where educators can ask the kinds of big questions that are becoming increasingly difficult to consider in the results-driven worlds of high school and college: What makes students genuinely curious? What kind of adults do we want our education system to help create? And how do we get there? Gap years could hold clues to big changes. When Pendoley enrolled at the Ed School as a Special Studies master’s student in the fall of 2002, the term “gap year” was just entering the American vocabulary (mostly thanks to Prince William’s high-profile, post-Eton stint teaching in Chile), but the phenomenon had been around under other names for decades. Holly Bull, Ed.M.’94, says her father, Cornelius, had banked on “interim year” or “interim time” when he founded the Center for Interim Programs, the country’s first gap-year counseling organization, in 1980. After two formative gap years of her own, Bull eventually joined her father at Interim, where she is now president. In the past 30 years, she says she has seen gap years grow from limited beginnings at private schools on the East Coast into a national trend — mostly, she says, because both parents and children increasingly see the value in putting students “at the reins,” in a position to decide what is of value to them and what is not, before starting college. Those decades of gap-year growth were far from Pendoley’s mind when he graduated from the Ed School and began working in public schools in and around Boston. He loved the work and eventually became a middle school coordinator at a Montessori charter school in Newburyport, Massachusetts, but found the emphasis on grades and test scores made it difficult for students to engage directly and “authentically” with their world and their interests. “Part of the problem of our current approach is that we teach theory,” he says. “Writing is theory. Literature is theory. Students aren’t out in the real world engaging and grappling with the engagement.” That trajectory continues through the end of high school, and then students enter college, where “there are mountains and mountains of learning opportunities ... and your success on campus is dependent on your ability to chart a course for yourself.” A tall order, he says, when your academic life until that point has given you little chance to engage your curiosity. In the summer of 2005, Pendoley took a job leading a summer program in Costa Rica for Rustic Pathways, a company that organizes travel and service programs for high school students. There, he connected with Chris Stakich, a Harvard College alum who asked Pendoley if he wanted to help him create a study abroad program for high school students. At first, Pendoley demurred, but soon they met Sandy Cooper, a former Peace Corps volunteer and Americorps team leader, and the conversation got bigger. How, they all wondered, could international education create really meaningful change? They found their answer in gap years. The market was growing and offered a chance to innovate outside the confines of traditional educational institutions. “We could create the curriculum, and we could create the pedagogy,” Pendoley says. By spring of 2007, they quit their full-time jobs to design a program that would foster three values they believed were common to great change-makers throughout history: a sense of purpose, a capacity for humble learning, and higher-order empathy. 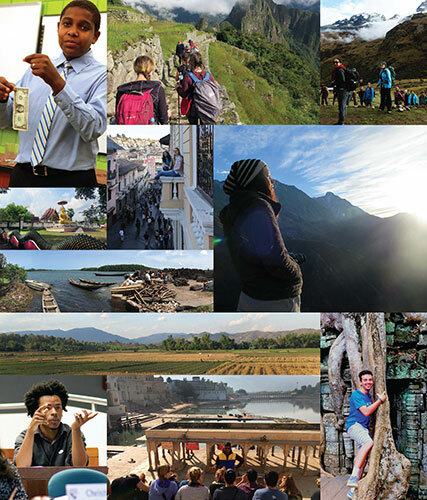 In fall 2008, Thinking Beyond Borders (TBB) launched its first offering, Global Gap Year. 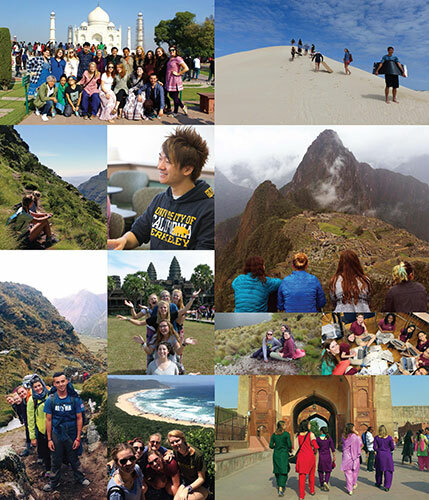 Students visited nine countries over 35 weeks, studying poverty, sustainability, and equity. Since then, Global Gap Year has evolved somewhat (it’s now six countries in 28 weeks), and TBB has launched semester-long programs as well, one focused on food security and public health in Asia and another focused on empowerment and sustainability in South America. Despite its focus on international development, TBB is not a social change organization. Pendoley says that too often travel programs for young people fall into the trap of “voluntourism,” a combination of sightseeing and light manual labor that assuages the first-world guilt of the volunteers but does little to change the structural problems that create poverty in the first place. At TBB, as students travel, they observe, listen, and repeatedly ask, “What is development?” — a question that inevitably leads to a number of subtopics: What should my role be in development? What systems create poverty in the world today? How am I complicit in those systems? Whose responsibility is it to fix the situation? For TBB students, this self-reflection can be profoundly shaking. Alexandra Duncan, an alumna of TBB’s first Global Gap Year, says she began her time at TBB “hoping to save the world” and left having no idea no idea how to do so. What, as the program asked, was development? How could it be done right? Was she even sure it was her responsibility? “I had to start from scratch,” she says. “I had to find one thing I knew was right, which was doing no harm, and go from there.” That led her down an unexpected path: After TBB, she went to Tufts, then took time off to train as a doula. She eventually graduated from New York University and founded Praxis Clinical, a New Haven, Connecticut-based medical training company. When Duncan arrived at Tufts in the fall of 2009, she noticed commonalities among the students who had taken gap years. “We had a clearer sense of what we wanted from our education,” she says. Research confirms her observations. In 2011–12, while dean of admissions at Middlebury College in Vermont, Clagett studied the college careers of gap-year alumni. Using methodology developed with Ed School Lecturer Terrence Tivnan, he compared the “academic rating” that admissions officers assign to applicants (a combination of grades, test scores, teacher recommendations, etc.) with their actual academic performance once they enrolled at Middlebury. Gap years, he found, were a better predictor of academic performance than SAT or ACT scores for all four years of college, and that was true whether the students “spent $40,000 or flipped hamburgers.” Clagett speculates this is because gap years allow students to make connections between life and education, two circles of experience that, for many high schoolers, barely overlap at all. Clagett thinks this schism is partly responsible for what he calls the “infantile behavior” of many college students. That’s difficult to prove, of course, but his study does give empirical backing to Pendoley’s hunch: that there are better ways to help our young people transition to independence than we are currently providing. If the benefits of gap years are well documented, the barriers to participation remain high. The American Gap Association says that 84 percent of gappers are white (compared with 50 percent of students enrolled in high schools nationally) and 18 percent come from households that earn more than $200,000 annually. Many programs, including TBB, offer need-based scholarships, but accessing those funds requires both information and guidance, a tall order in urban schools where a single college counselor can have 700 students on his or her caseload. There are cheaper ways to take time off — paid volunteer programs like Americorps and City Year are often described as “funded” gap years — but Pendoley believes that “unless there is a major change in how we fund undergraduate education,” gappers will never account for more than 3 to 4 percent of the college-bound population. He also thinks, however, that the demonstrated benefits of gap years can be created in other ways. 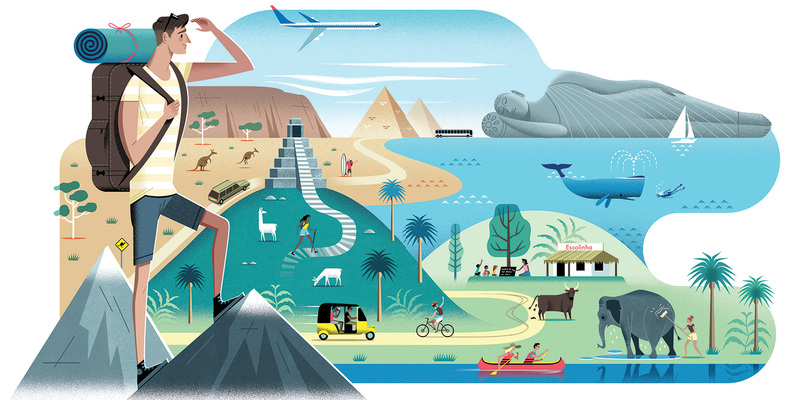 “A more intentional approach to the college transition is important,” he says, and the gap-year world offers clues about how that could happen. Specifically, Pendoley says that effective gap-year programs (and he is quick to point out that not all gap-year programs are, by his definition, effective) give students two key opportunities they aren’t finding at school. The first is a chance to engage with the real-world questions that feel burning to them. In contrast, many high school and even college course loads are about mastering pre-existing bodies of knowledge rather than engaging curiosity. The second is an adult mentor who can help students reflect on fundamental questions like who am I? Who do I want to be? How do I get there? Students arriving in college encounter new levels of personal and academic choice, but lack trusted, nonparental role models to help them navigate this enormous freedom. On one level, the change Pendoley hopes for is programmatic. He would like to see more colleges offer freshman study abroad — focused, small-group trips designed to get students to think about what they want from their college experience before they arrive on campus. And he would like to see similar programs on campus. Perhaps students could spend their first semester in small groups, meeting all day every day with a single professor to engage deeply in a topic that relates to the world around them, like gentrification, social class in America, or public health. Those tools, however, seem to be appearing. In the last decade or so, colleges and universities have incorporated many new learning models. In 2009, Princeton launched the Bridge Year Program, a tuition-free nine-month international service program for incoming freshman. In 2015, Tufts started a 1+4 program, which extends university financial aid to students looking to fund service years before starting college. In 2016, the College for Social Innovation launched “Semester in the City,” a 15-week program where college juniors receive college credit and financial aid while working in social impact organizations in greater Boston. Madelaine Eulich, Ed.M.’16, works for Summer Search, an organization that mentors low-income students from their sophomore year in high school through their college graduation, and provides them with fully funded summer experiences like academic programs or wilderness opportunities. Some gap programs, like LEAPNOW, are affiliated with universities, which means students graduate with transferrable college credits and are eligible for Federal Student Aid under Title IV. Ethan Knight, the head of the American Gap Association, is working with the Lumina Foundation to develop “a more universally applicable method for transcribing experiential learning,” which he hopes will help gap programs meet Pell Grant documentation requirements. For Pendoley, any and all of these efforts could be an important part of transforming a higher-education system where “the cost no longer reflects the value.” Gap years are among the places where it’s currently possible to experiment with remedies to this problem, to try new ways of mentoring, of allowing students to ask questions, of engaging real curiosity. If the gap world’s capacity for experimentation changes, Pendoley’s focus might change as well. “I’m not an advocate for gap years,” he says. “I’m an advocate for meaningful and intentional spaces in the college transition.” The real challenge, he believes, is not to pro-vide more graduating high school students with exotic travel experiences. It’s to find better ways for our society to manage one of life’s most essential rites of passage — the journey to adulthood.